We live in a time when faith communities are struggling to attract new members. 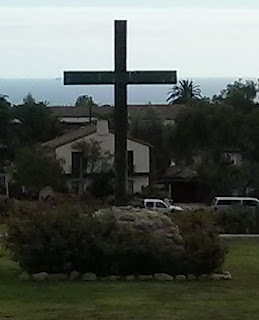 Once large churches are a fraction of their size. Church members wonder what happened. Where did all the children go? There are lots of organizations that promise to help us bring in members by the droves, for a fee, but their solutions rarely work. In large part because they are one size fits all and don't consider context or the people already there. 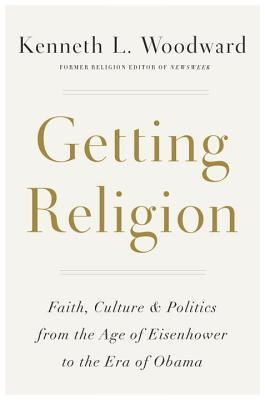 In this week's posting Martin Marty reflects on a new book by Kenneth Woodward, the long time religion editor for Newsweek, titled Getting Religion. Marty says this isn't a review, because he's too close to the author and the book, but he wants us to join him in considering the state of things as Woodward lays them out. I think I'll have to get a copy of the book! In the meantime, take a read and offer your thoughts! Last week he published a summing-up on “Faith, Culture, and Politics” in that period. Vatican II; religious revivals; civil rights; Vietnam War protests; “movement religion,” including women’s movements—these are a few of the catalytic and capstone clusterings of events here. I had read the manuscript, and this week reread what became a 447-page hardbound book. This is not a review; I am too close to the author and too involved in the times to gain objectivity and perspective. But I can advise readers that nowhere else are they likely to find a more informed, impassioned story of how Americans in these years “got” and kept—or abandoned—religion. “Segmentation is readily apparent in American religion.” When Woodward’s story began, Catholics and Southern Baptists made up 40% of the American population. Not now. “The unanticipated surge in the nonaffiliated” has led observers to wonder whether the U.S. is following the European pattern of secularization. Not quite. Woodward instead sees a “winnowing effect” as more citizens are “self-identifying as Nones.” Since so many of the young are trending that way, religious communities suffer. Without community—church, club, cause, etc.—individuals engage in self-authentication as they seek recognition. - Woodward, Kenneth L. Getting Religion: Faith, Culture, and Politics from the Age of Eisenhower to the Era of Obama. New York: Convergent, 2016.